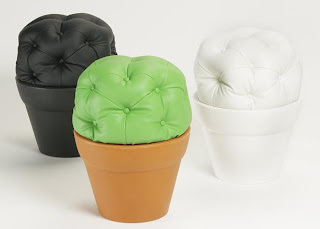 The BUX is an inimitable Chesterfield pouf inspired by the box tree. It looks like a BUX and it feels like sitting on a throne. The top is made from skai leather and the bucket is made from plastic. We created the boxwood shape because it’s meant for outdoor use. But feel free to plant one indoors also.